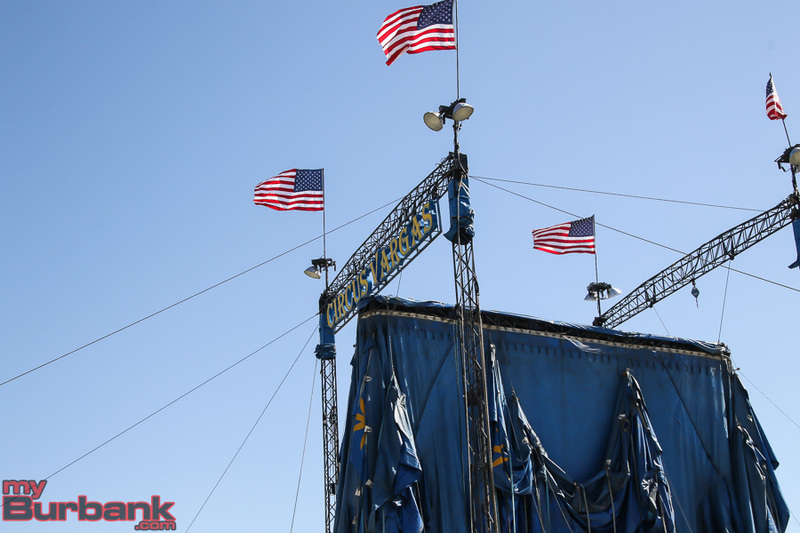 Living in Burbank has many perks, and one of them happens to be that the circus comes to town once a year. 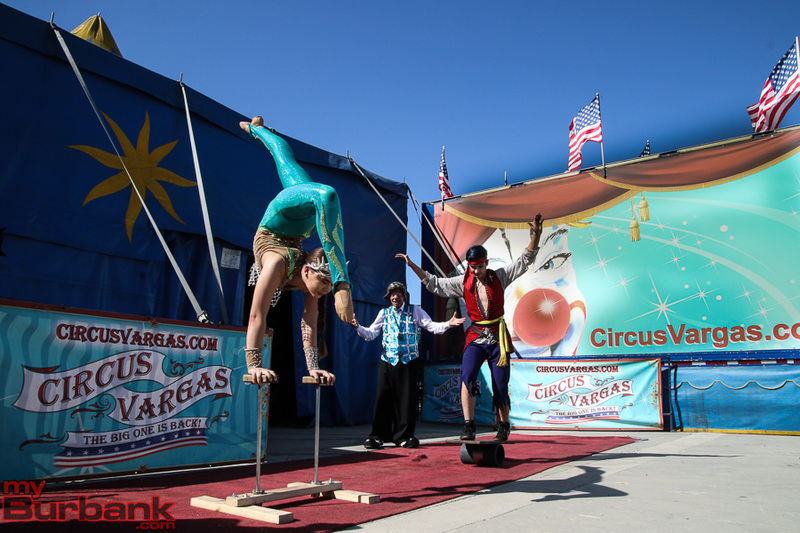 Circus Vargas opened their big top to the public Saturday, April 21st and will be performing shows up until May 7th before packing up and moving off to Woodland Hills. 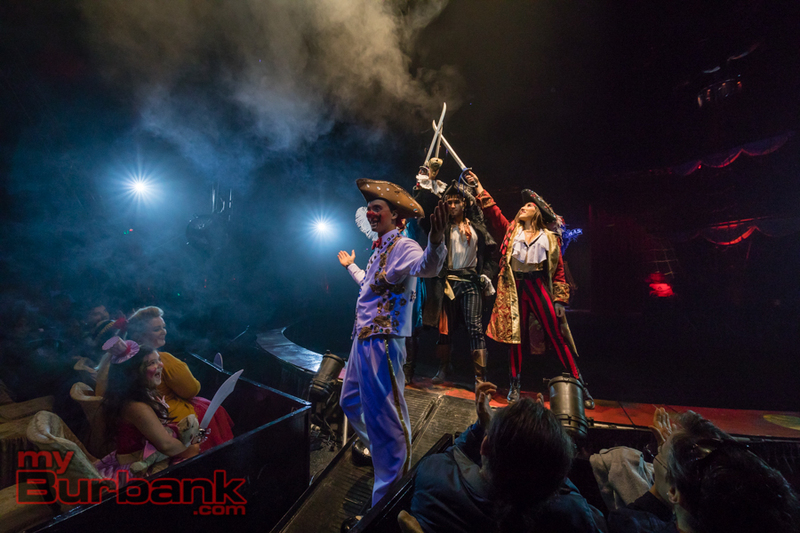 This year’s theme is “Dreaming of Pirates,” which is conveyed in the performer’s costumes and stage decor. 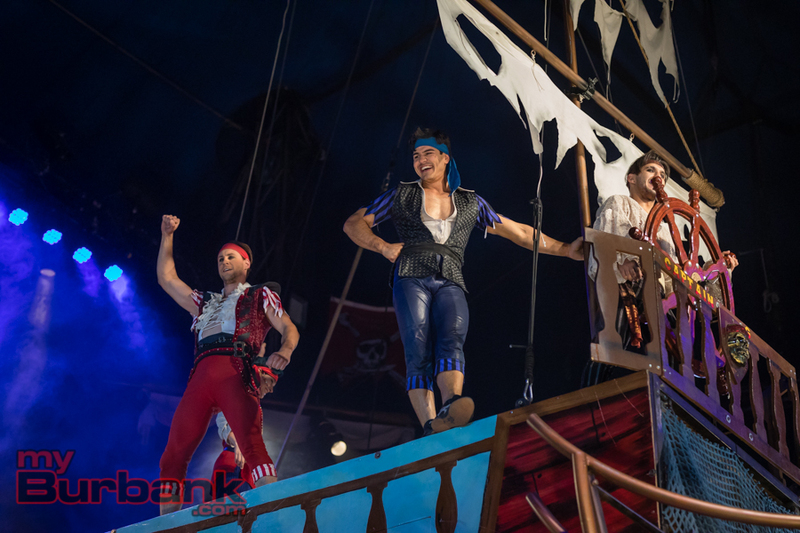 In one performance, a giant pirate ship is rolled out onto the stage as a group of swashbuckling pirates duel it out while falling and flipping around on a trampoline. In another, a mermaid gives up her fins for legs and shows off her newly found contortions putting you in awe at what the human body can really do. 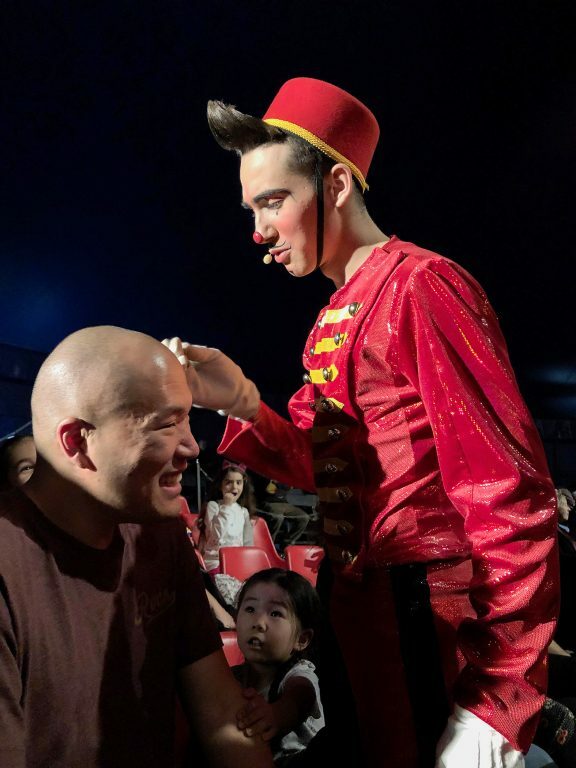 Circus Vargas is a family friendly show that is appropriate for all ages and does not contain any animals in their acts. 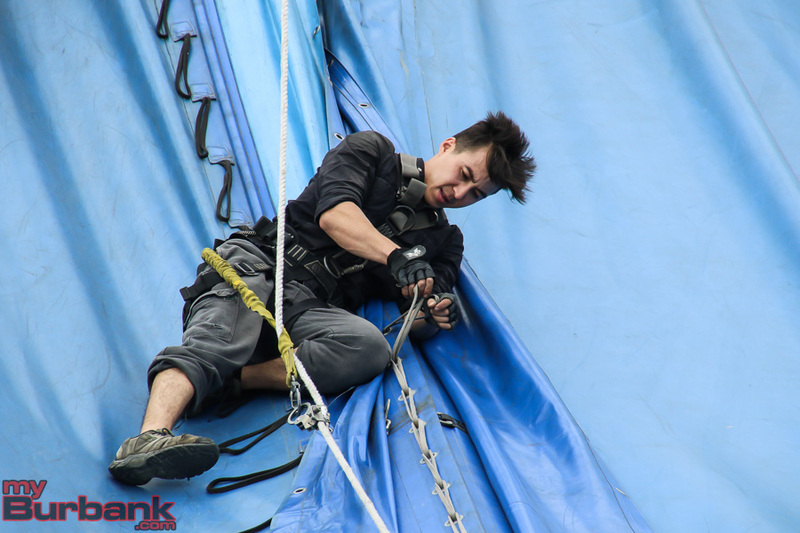 The entire show is run by the performers and their talents whether it be aerial arts, tightrope, juggling, or shooting an arrow at a balloon with their feet. 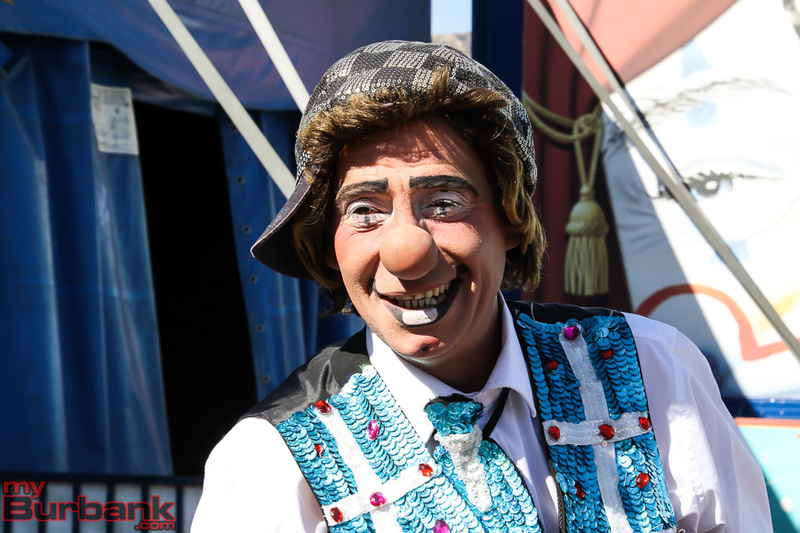 The “ringmasters” are a few silly clowns, but not the typical clowns we all think of at a circus. No big red noses, no orange frizzy hair. Just a couple of silly guys who will make you laugh your socks off. 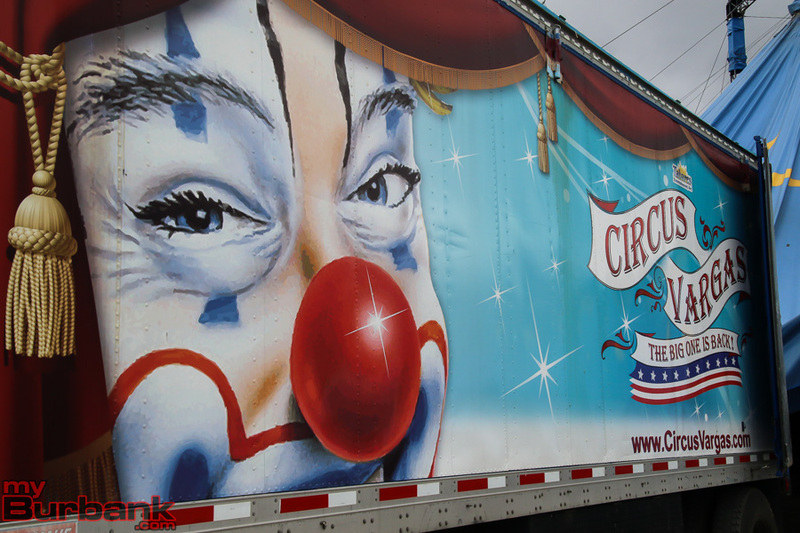 Parking for the circus is $10 and it is good to remember that you can’t enter Front St. from Burbank Blvd. 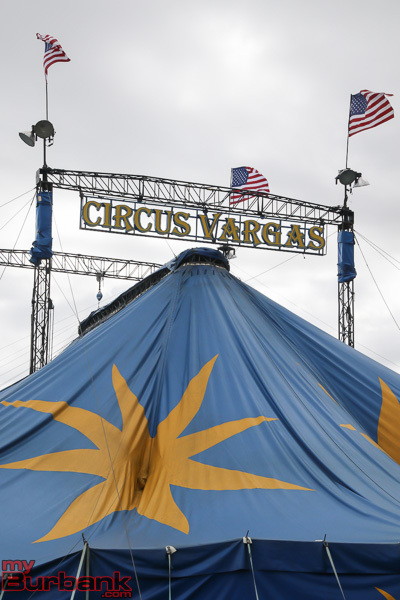 The best route if coming from the West side of Burbank is to enter the 5 South freeway and exit Verdugo and then make a right onto Front St. which will bring you right to the entrance of Circus Vargas. Don’t forget to come 30 minutes early for extra entertainment for the kids. 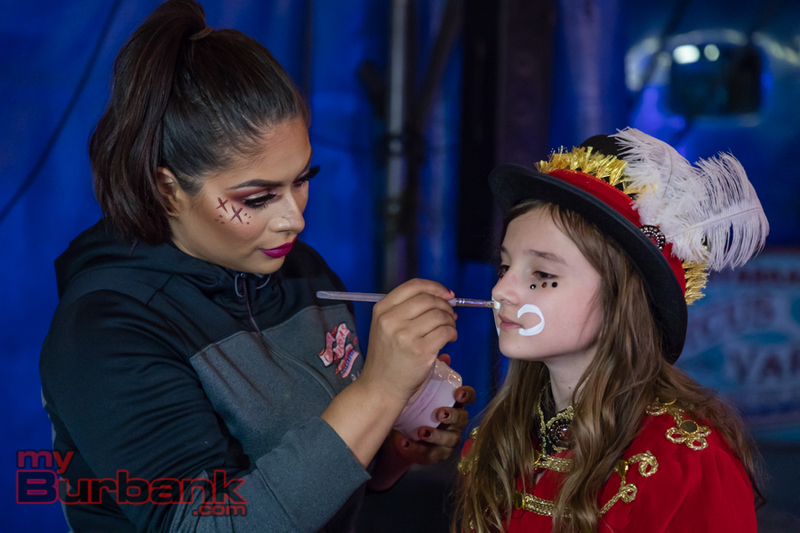 When entering the big top, there is face painting, light up toys, and a pre-show where kids can come to the middle of the ring and learn circus acts like balancing and juggling with the performers. Because Circus Vargas is a smaller circus, it feels very intimate and close. There really isn’t a bad seat in the tent as it is a smaller venue than other circus’. 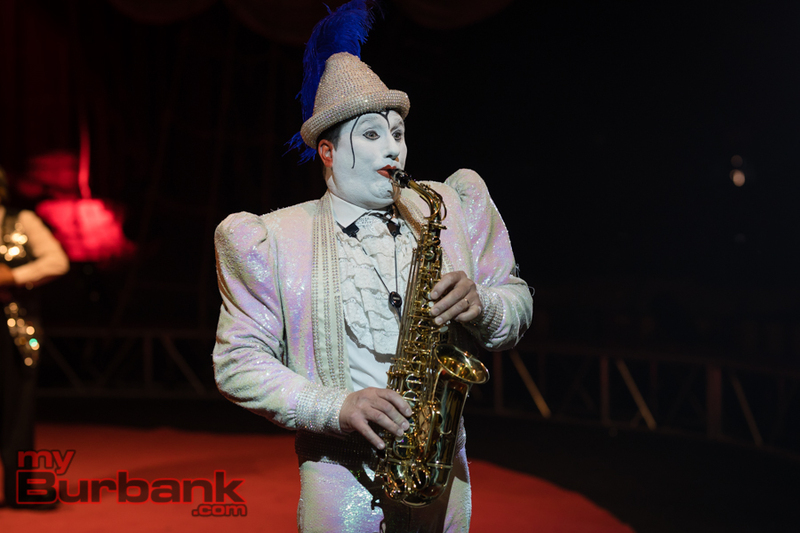 The “clowns” interact with the audience, pulling some people into the ring to perform a funny skit, and are often roaming through the stands throughout their acts which gives everyone a chance to feel close to the performers. After the show, all of the performers line up outside the tent to meet their guests and take pictures with them. Kids and Adults of all ages will love this show! 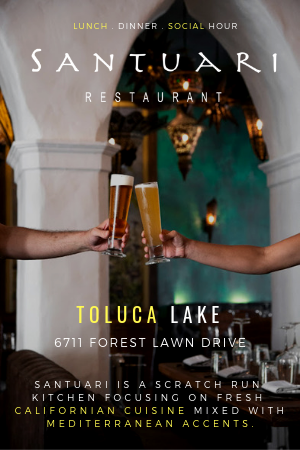 It is definitely an experience worth going to before it’s gone! 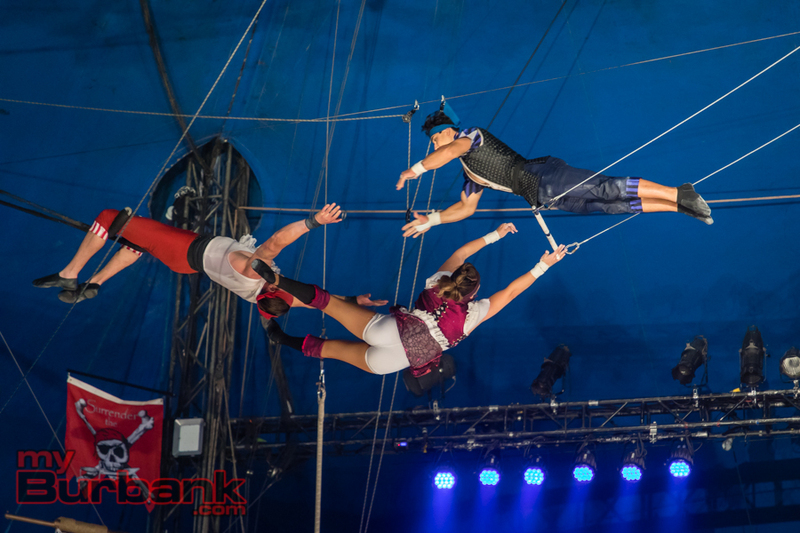 Tickets are available on every day except Tuesdays and Wednesdays and can be purchased at www.circusvargas.com or at the Ticket office located at 777 North Front St. 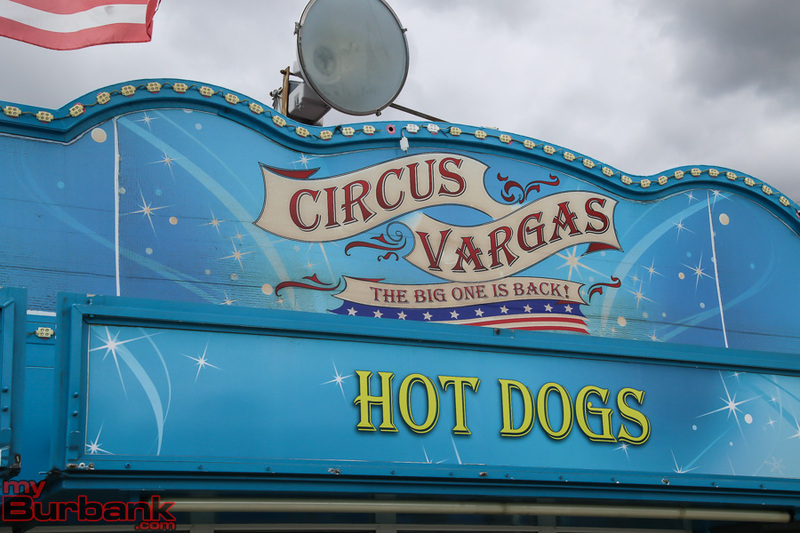 This entry was posted in Events, News and tagged Circus Vargas on April 25, 2018 by Ashley Erikson. The Big One is Back! 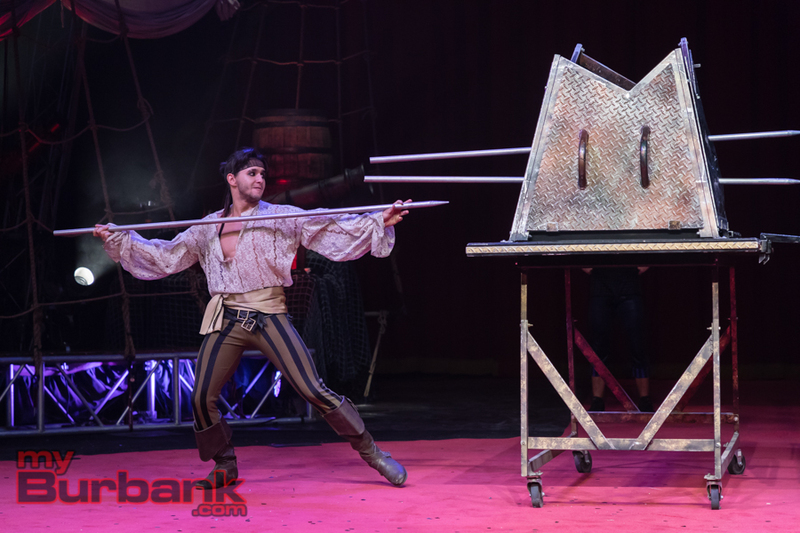 Circus Vargas Delivers the Ultimate Entertainment Extravaganza for 2018! Debuting their latest, new and amazing production in the San Fernando Valley, the much-anticipated tour runs April 21st through May 22nd in Burbank. 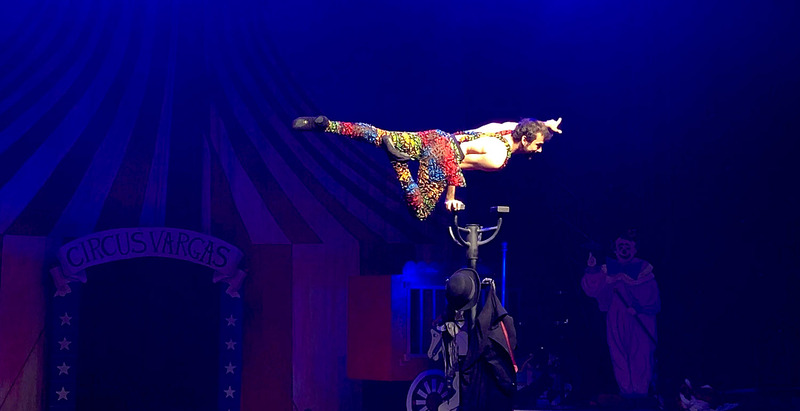 Always fun for the entire family, Circus Vargas’ incredible new production highlights an amazing cast of world-renowned performers! 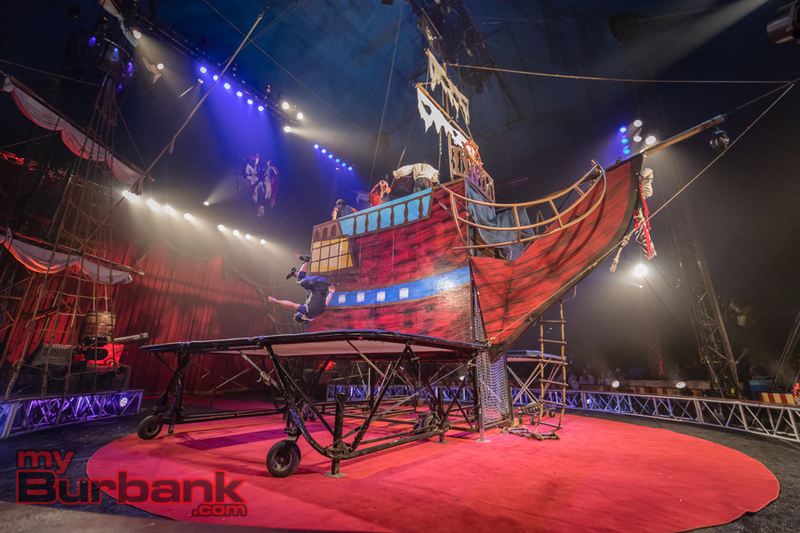 Death- Defying Acrobats, Daredevils, Flying Trapeze Artists, Jugglers, Contortionists, Comedians, Clowns, Motorcycles and much, much, more! under the Big Top, where memories are made and cherished for a lifetime! 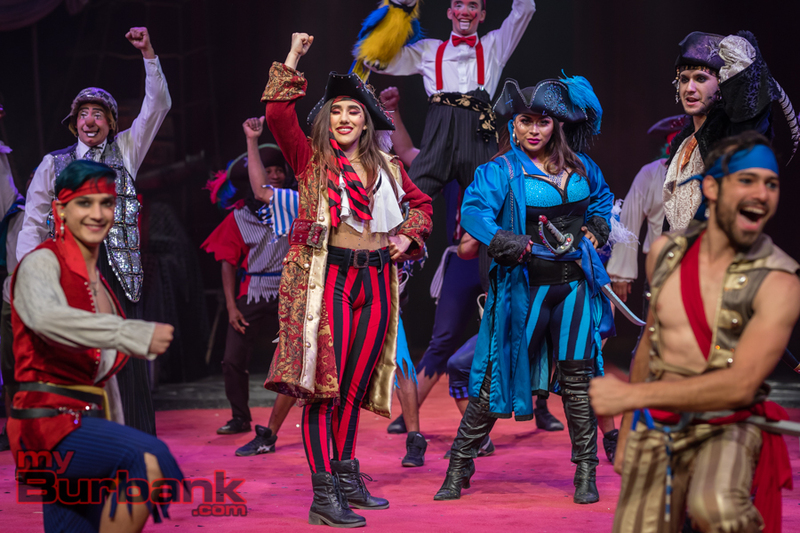 Join us for a swashbuckling circus spectacular, with this year’s theme “Dreaming of Pirates!” A fantastic voyage of nonstop action and adventure guaranteed to thrill and enchant children of all ages! Prepare to witness the impossible and experience the unforgettable! 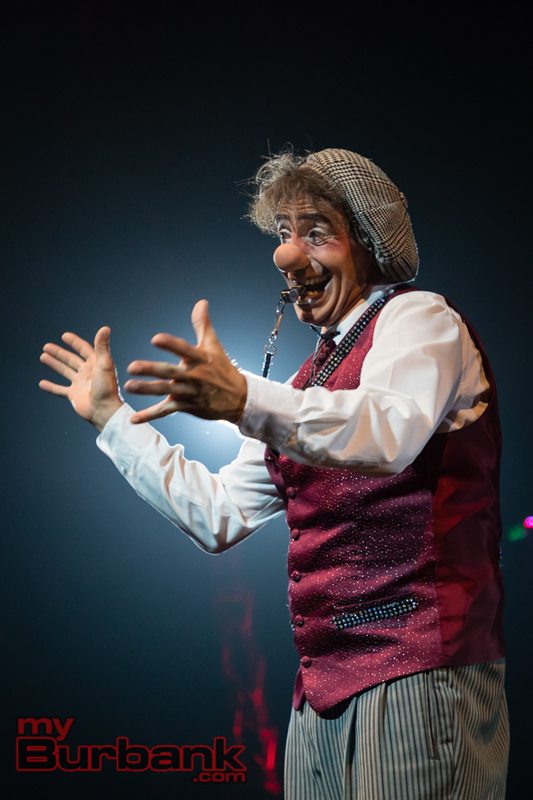 For Circus Vargas performance dates, times and to purchase tickets, visit www.circusvargas.com, call 877-GOTFUN-1 (877-468-3861) or visit the box office at each location. 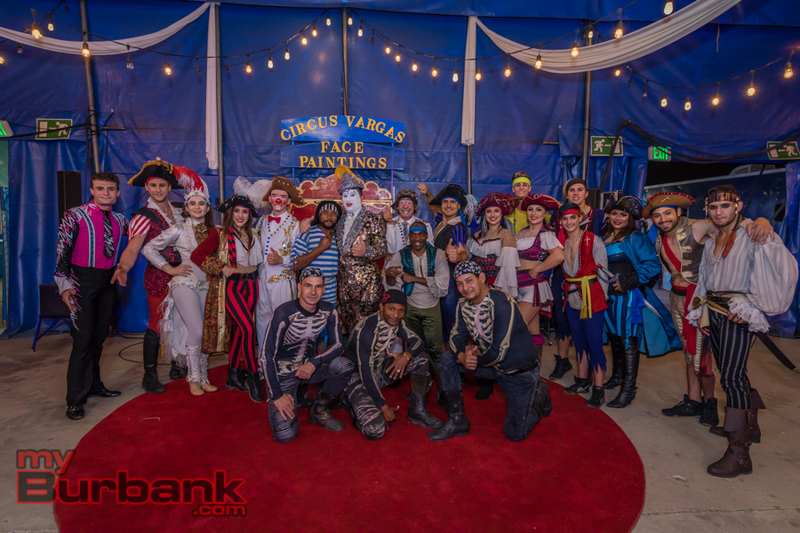 Follow Circus Vargas on Facebook and Twitter for updates, discounts and behind the scenes video. 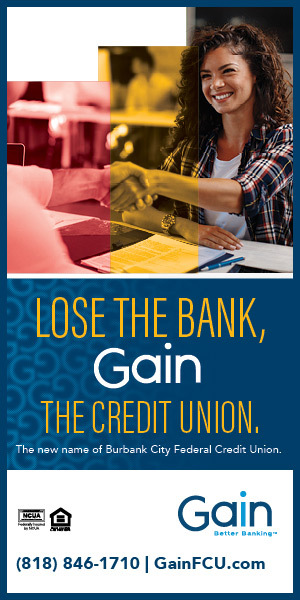 Burbank – Burbank Blvd at 1-5 Freeway (777 N. Front St, Burbank, CA 91502) Enter from Verdugo go north to parking lots. This entry was posted in News and tagged Circus Vargas on April 18, 2018 by Staff. 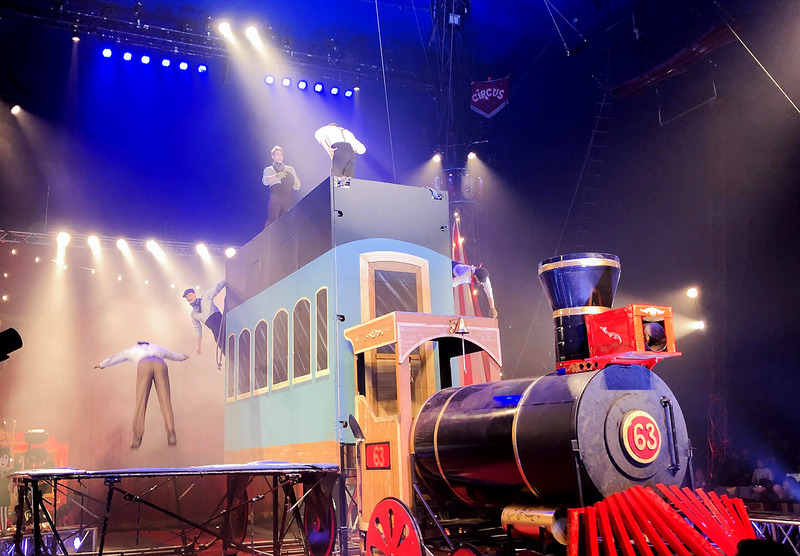 Circus Vargas Unveils Original New Production- Steam Cirque! 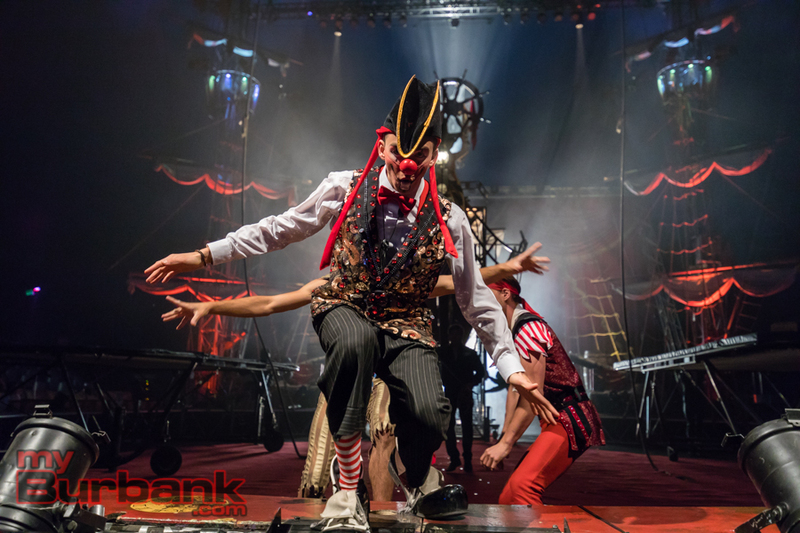 Circus Vargas embarks on a brand new epic adventure under the big top! 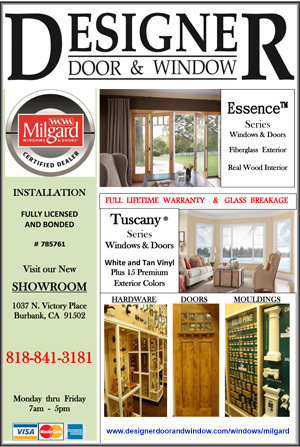 Bringing their innovative new production to Burbank for performances between April 20 to May 8 . Goggles, gears, and gadgets set the stage for Circus Vargas’ 2017’s retro-futuristic production, SteamCirque! 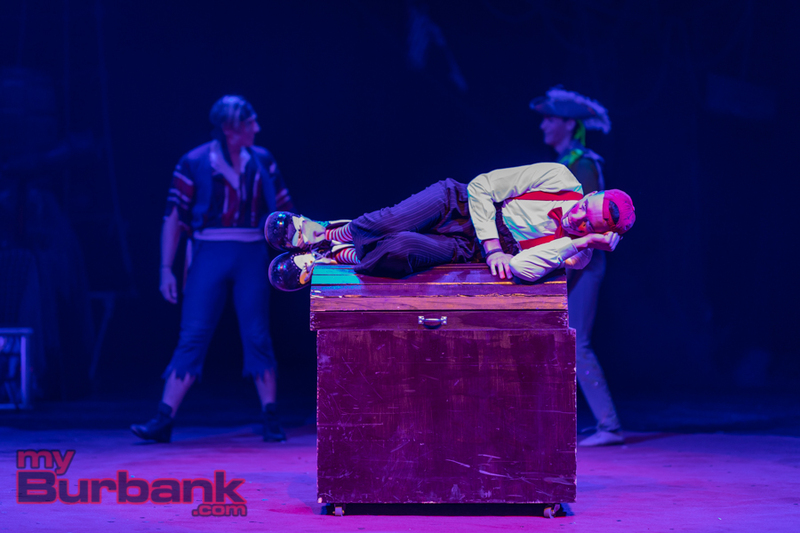 Join them on a journey of fantastic proportions where children of all ages will marvel at the wacky and wonderful cast of characters that come alive in this exciting steampunk, science- fiction fantasy inspired circus odyssey! An eccentric group of adventure seekers stumble upon a traveling circus in an imaginary Victorian city, far, far-away. 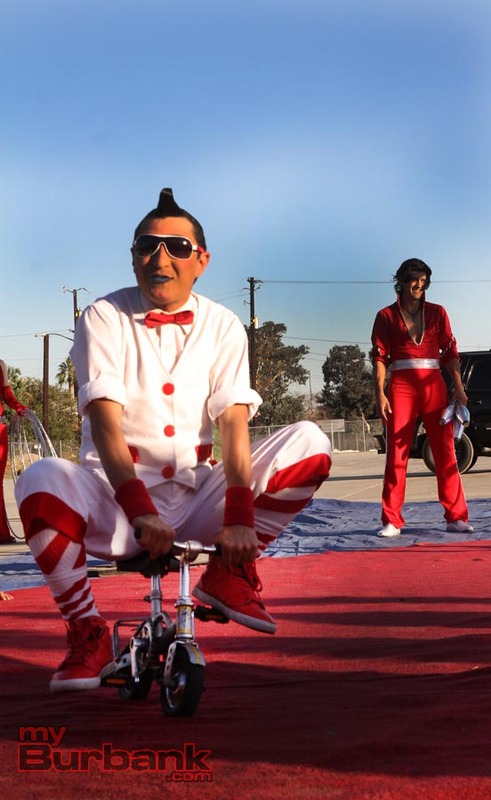 SteamCirque’s peculiar protagonist, part magician-part inventor, attempts to industrialize the circus by incorporating his steam powered mechanical contraptions into the ordinary, typical circus rigging, filling the big top with new, imaginative acrobatic apparatus for the artists to perform their acts. 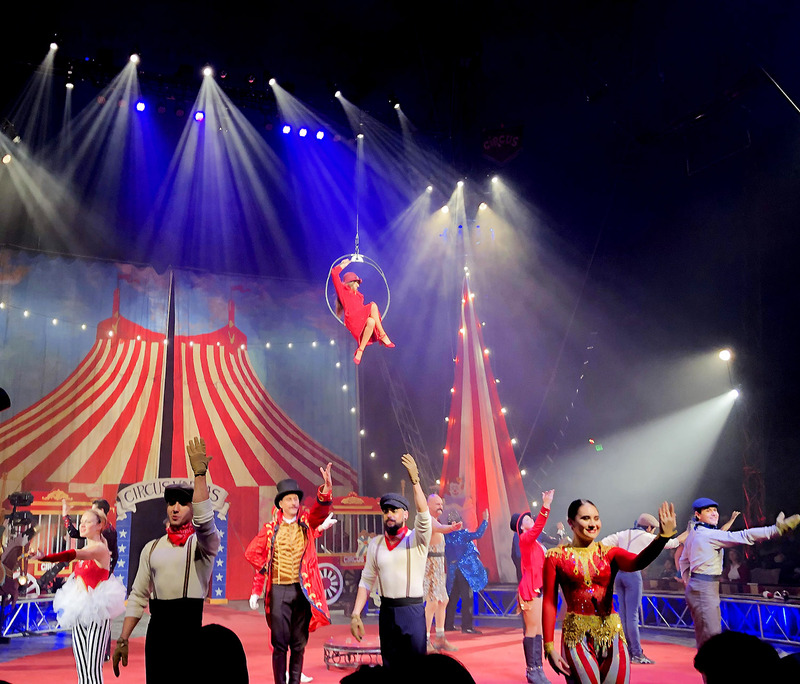 Join us for an amazing experience, under the big top as Circus Vargas celebrates its 48th year and create new and treasured memories for generations to come! This wonderful show has something for everyone! It’s 2 hours of amazing music, lights, magic, acrobats, aerialists, daredevils, comedians and more! 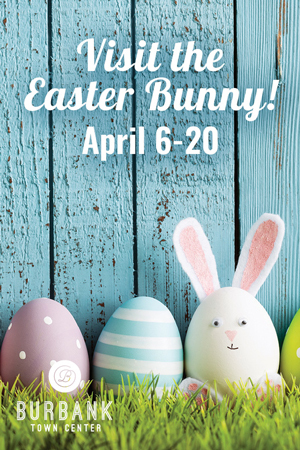 Ticket Information: General admission tickets are $17-$32 for children and $27-$37 for adults. Reserved Ringside seating is $52-$67 for children and $57-$72 for adults. For Circus Vargas performance dates, times and to purchase tickets, visit www.circusvargas.com, call 877-GOTFUN-1 (877-468-3861) or visit the box office. 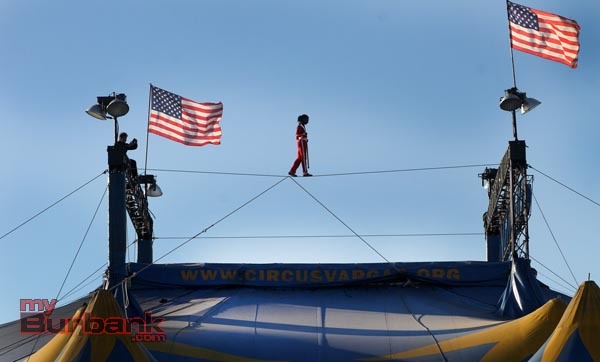 Follow Circus Vargas on Facebook and Twitter for updates, discounts and behind the scenes video. This entry was posted in News and tagged Circus Vargas on April 20, 2017 by Staff. 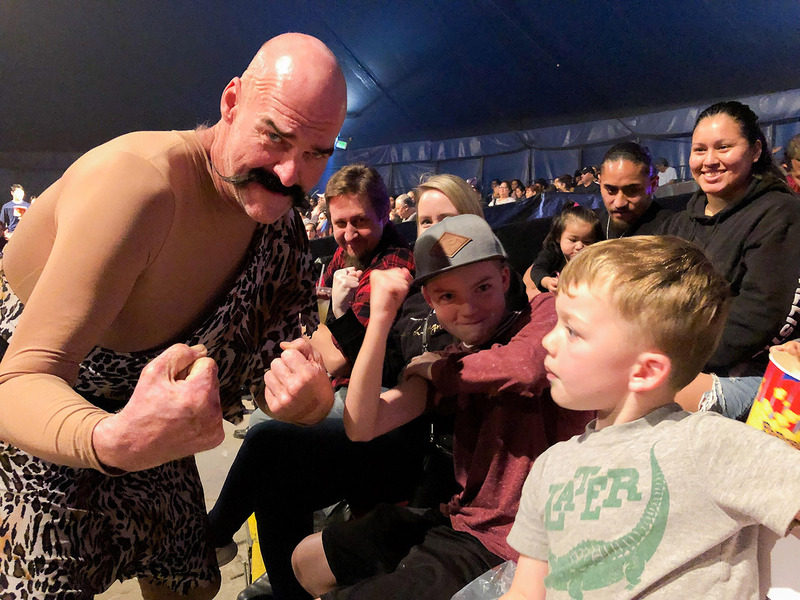 The multi-generation, family operated Circus Vargas returns to the Inland Empire with the premiere of iLUMINOUS, a new, high-energy, animal-free extravaganza under the Big Top. Boasting death-defying stuntmen, flying aerialists, exhilarating acrobats, and uproarious clowns under a music filled, blue and yellow Big Top, Circus Vargas presents iLUMINOUS will appear from May 12 through June 9 in Burbank, Ventura and Santa Ana. iLUMINOUS follows a family who have become more connected with their electronic devices than each other. A circus spirit helps them discover that our devices merely add light to the lives we lead and are not a substitute for human connection. Special effects lighting and unique costume design will make the artists appear to glow in the dark. 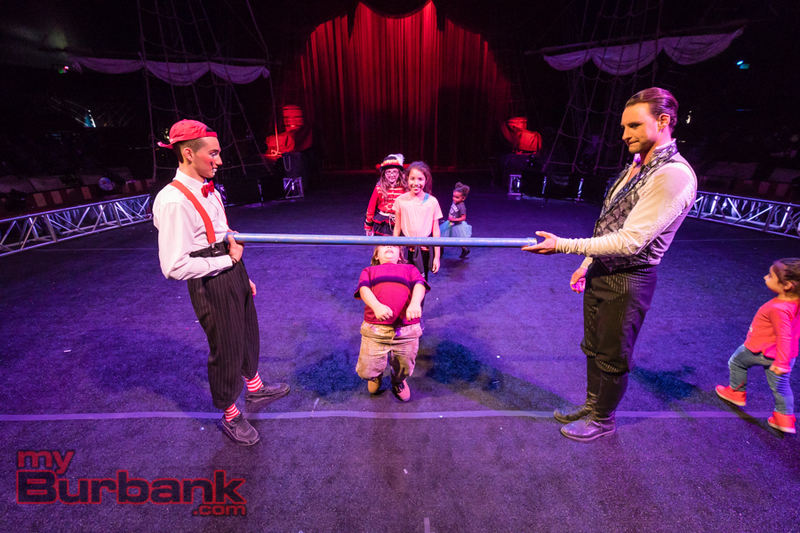 Arrive 45 minutes early for an exciting, interactive pre-show experience where children (of all ages) can join the circus! After the show, meet and take pictures with our performers. The Skating Torreblancas, a Chilean duo of roller skating artists where the brother propels in a circle while whipping his sister through the air in a series of life-threatening lifts, poses and swings including one heart-in-your-throat moment when they are chained neck to neck while spinning on a 6-foot platform. Known as the “Justin Bieber of the circus world,” 21-year old Patrick Marinelli gained a rabid fan base after showing off his magic on “America’s Got Talent.” The fifth generation circus artist dons a light up suit to join the guys on the electrifying Trampoline Wall before partnering with the elegant Nicolette Fornasari on a breathtaking aerial strap act. The girl power Osmani Acro-Trio combines dance and contortions in an amazing display of strength and grace. The comic antics of two brothers from Italy get laughs as the spiky haired Steve Caveagna spins multiple diabolos to incredible heights while the saxophone playing Jones instigates pandemonium. Vova whirls light up objects such as a 4-foot cube through the dark in a Tron-like, light up costume. A pair of motorcyclists zoom around in a 16-foot Globe of Danger while avoiding a daredevil beauty who stands in the center. Direct from a royal command performance for Prince Albert of Monaco, the trapeze artists known as the Flying Tabares fly with the speed and beauty of fireworks through a darkened tent. 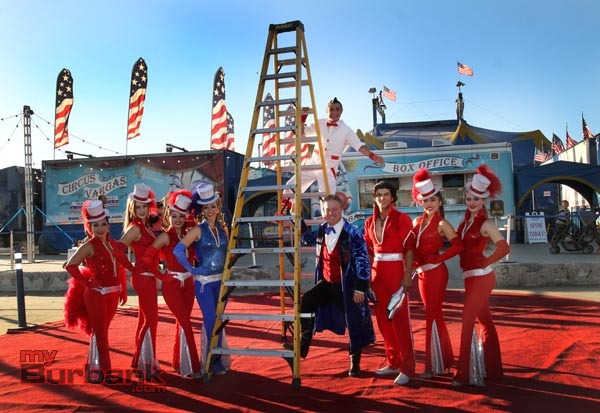 Jon and Laura Weiss preside over the interactive pre-show where Jon, a former contestant on The Amazing Race, balances anything from a dollar bill to a 16-foot tall ladder on his chin. Tickets are $15-$35 for general admission seating and $35-$70 for reserved ringside seats. 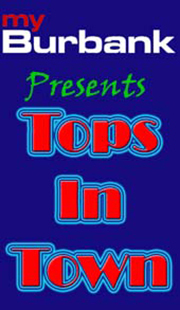 Purchase tickets online at www.circusvargas.com, call 877-GOTFUN-1 (877-468-3861) or visit the box office at each location. 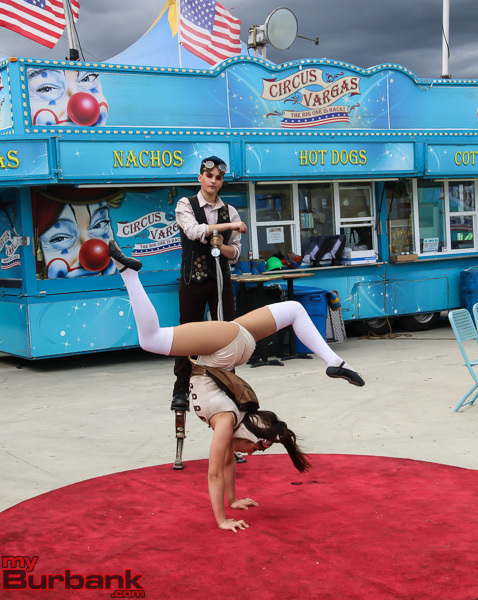 Follow Circus Vargas on Facebook and Twitter: @CircusVargas. 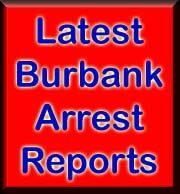 Burbank, off I-5 Freeway and Burbank Blvd. This entry was posted in Entertainment, News and tagged Circus Vargas on May 3, 2016 by Craig Sherwood. 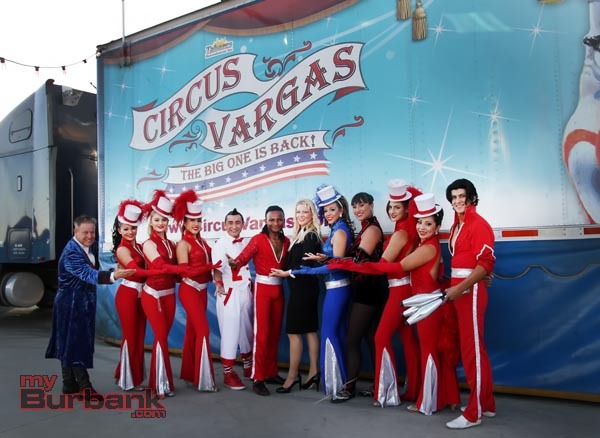 Circus Vargas has once again come back to Burbank through October 13 and they gave Burbank a tease of what is to come. 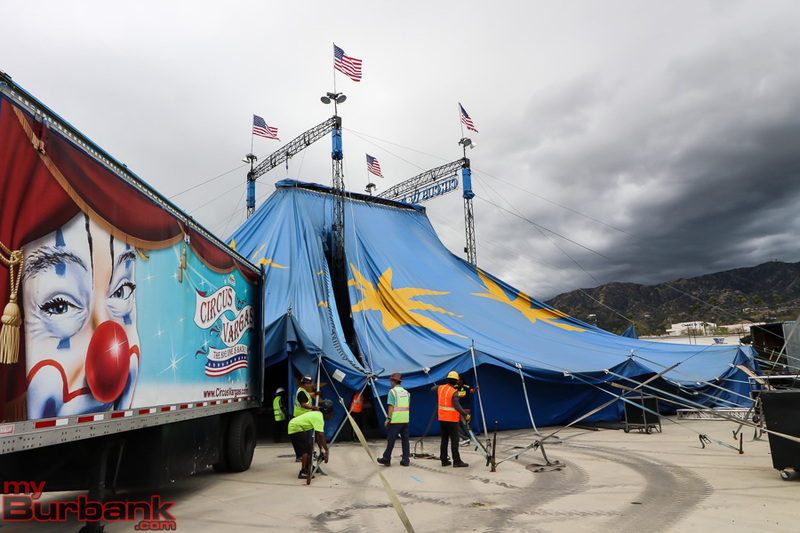 Thursday, a famed Circus Vargas Daredevil walked across a cable stretched out over the circus’ Big Top tent to not only bring attention to the shows which are currently running now through October 13, but to also bring attention to Promote “Rebuild San Fernando Valley Rescue Mission” Donation Drive. 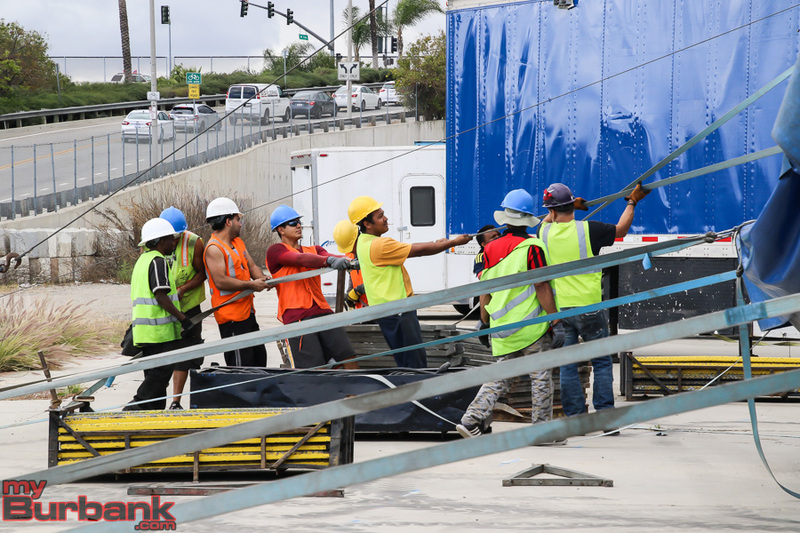 The San Fernando Valley Rescue Mission suffered severe damage due to a fire earlier this year and efforts are being made to restore the much needed facility. 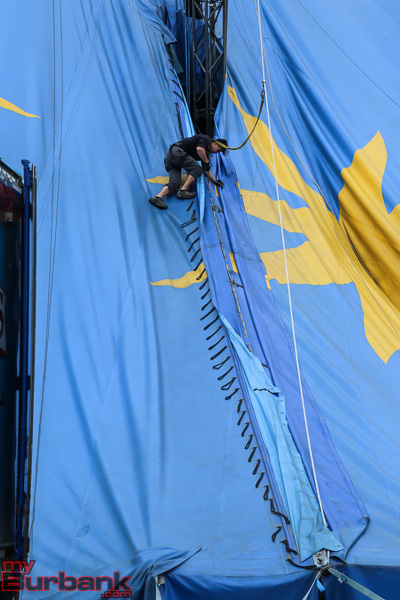 The Daredevil walked precariously across the wire strung high across the very top of the Circus Vargas Big Top with a banner from the San Fernando Valley Rescue Mission blazoned across it to safety on the other side. 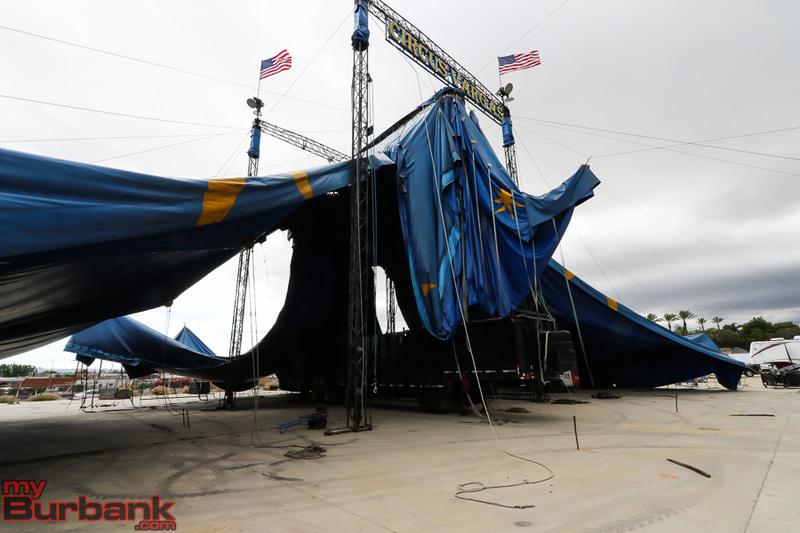 This entry was posted in Events, News and tagged Circus Vargas on October 4, 2014 by Craig Sherwood.